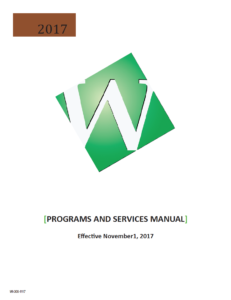 The Programs and Services Manual is the place to find information on WI policies and procedures, quality assurance programs, affiliation information, and much more. Disclaimer: This is a supplement document only, and by no means should be referred to as a full explanation of policies and procedures. Specific policies and procedures may by obtained by contacting the WI Office at 916-372-9943.